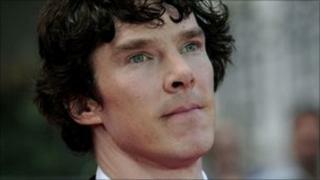 Sherlock actor Benedict Cumberbatch is to star in the next Star Trek movie, his publicist has confirmed. The 35-year-old British actor's role has not been disclosed, although reports suggest he will portray a villain in the sci-fi sequel. Cumberbatch will join Simon Pegg, due to reprise his role as Scotty from the 2009 Star Trek release. Its follow-up, which is expected to be released next year, will again be directed by JJ Abrams. Other key members of the cast, including Chris Pine as Kirk and Zachary Quinto as Spock, will return for the movie. Another British actor, Noel Clarke, has been announced as a new member of the cast, although his exact role has yet to be disclosed. Clarke wrote and starred in the 2006 film Kidulthood, directed by Menhaj Huda, then directed its follow-up Adulthood, which was released two years later. Also known for playing Mickey in Doctor Who, Clarke was named Bafta's Rising Star award winner in 2009. Cumberbatch is also set to take roles in Peter Jackson's The Hobbit, voicing the characters of Smaug the Dragon and the Necromancer. The actor will next been seen on the big screen in Steven Spielberg's adaptation of War Horse, due to be released in the UK next week.